So that's all I can think of for now but clearly every gross tissue has a silver lining. Or something. 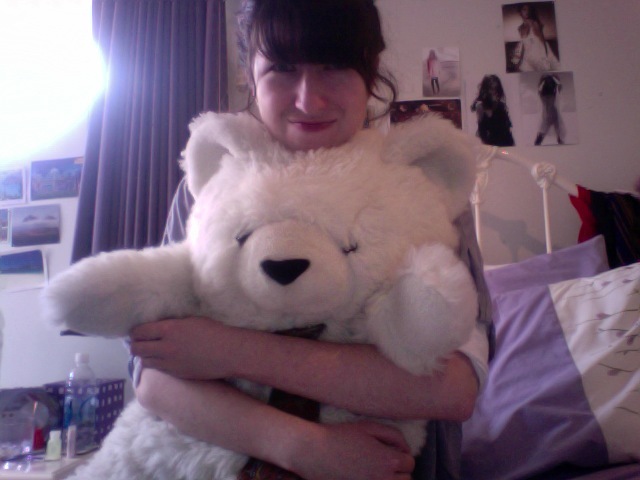 This is pretty much my 'sick uniform': old jeans, comfy top, big jumper (not seen) and, of course, teddy bear. Who says feeling poorly has to get in the way of sartorial goodiness? P.S. Yes, I have a green guitar. Can't play it, never used it, pretty sure it's not even tuned. I can kinda be an impulse buyer sometimes. I'm trying to get better, I swear. Your photos are so cute! 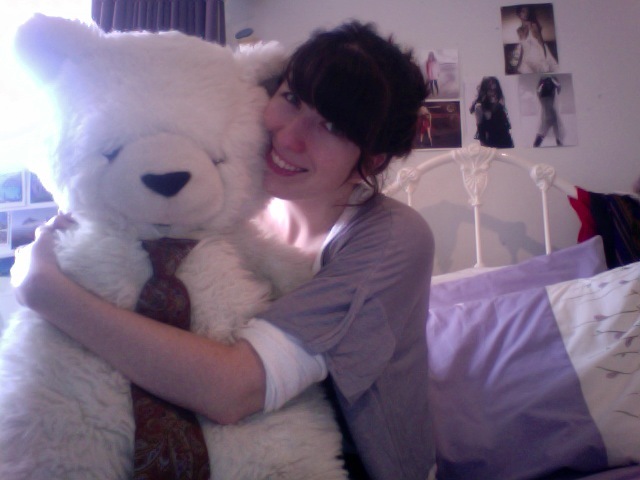 I wish I kept my soft toys. I think my mum threw them all out. Hehe. I feel your pain, I just got my hubbys cold! But many cups of tea always helps! How very clever to turn a yucky moment around !